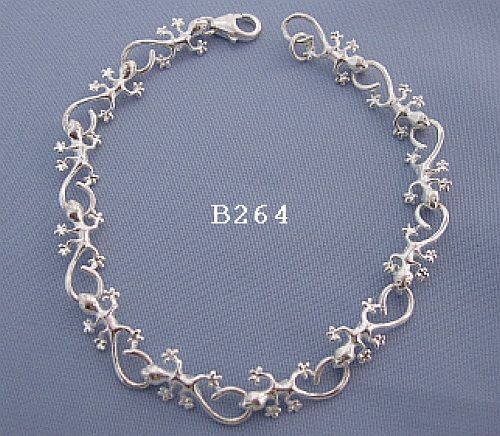 Sterling Silver Hawaiian Gecko bracelet, featuring highly polished linked Gecko lizards. Secured with a strong parrot clasp. Another unique Hawaiian jewelry design. Measurements: 7 inches (177mm) length. 7mm at widest. Weight 5.6 grams. These magical lizards are deeply respected and sacred to the Hawaiians. They are also said to bring good luck. Limited quantities for this item. 3 in stock.